And, if you can’t wait, you can always try out the BBC’s Western Approaches Tactical Unit online browser game (requires Flash) from a few years ago. Defense One features an article by COL Garrett Heath (Studies, Analysis, and Gaming Division at the Pentagon Joint Staff) and Oleg Svet (senior defense analyst, STAG) reviewing US Department of Defense efforts over the past three years to revitalize and expand wargaming. The piece includes an update on both the Pentagon’s wargame repository and the Warfighting Incentive Fund grants. The Repository has already proven its worth and will continue to benefit future generations of wargamers. WIF’s annual $10 million has enabled wargames that otherwise would not have occurred, revealed critical gaps, supported 3-star and above decision-making, and contributed to finding solutions to vulnerabilities that the Department was not previously aware of. At present, the demand for WIF funding exceeds the supply, and its administrators will strive to select the best games that support decision making by the department’s senior leaders, explore its most pressing challenges, and support the National Defense Strategy. 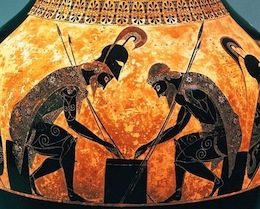 Wargames are uniquely positioned to foster judicious decision-making, especially among senior defense leaders, because by design they incorporate active adversaries, the effects of partners and allies, and the use of disruptive technological within the operational landscape. In other words, they simulate a truer-to-life depiction of future wars than other types of analytical activities cannot. Analytical wargames achieve outcomes that in the real world would endanger lives and possibly cost untold sums; stress-test commonly-accepted concepts of operation; allow participants to design innovative solutions to mitigate risks; and ultimately enable our nation to stay ahead of our adversaries. Senior leaders and action officers alike know the unique value of analytical wargames, and it is vital that they have the resources and the tools they need to take advantage of this practice. PAXsims is pleased to offer some recent items on conflict simulation and serious (and not-so-serious) gaming that may be of interest to our readers. Anders Russell and David Becker suggested material for this latest edition. Like what you’re reading? You can always support the work of PAXsims via Patreon. Save the date! The next Connections US professional wargaming conference will be held on 13-16 August 2019 at the US Army War College in Carlisle, PA.
Also, don’t forget about the Connections North wargaming conference to be held in Montréal on 16 February 2019. Being the commander of a rehabilitation platoon could easily be viewed as an undesirable posting. All my soldiers were unable, through injury or sickness, to participate in the full range of training that I was used to running as an infantry officer. The post also naturally comes with a heavier burden of medical, welfare and policy bureaucracy which must be learnt, if not entirely mastered, in order to promote the recovery of the platoon. The nature of a rehabilitation platoon, however, makes it ideal for conceptual development. Indeed the minds of the broken (no disrespect intended) are in desperate need of stimulation and focus to avoid fixating on their plight, often prolonging their recovery and, for some, triggering their intention to leave the service altogether. The format for a typical day would see the troops under dedicated physiotherapists and injury specialists in the morning so by the time I got them for afternoon lessons they were generally fatigued. Therefore, the more practical I could make the lessons, and the more interaction involved generally, the better the outcome. The example in this article is but one iteration of a series of practical professional military education (PME) activities, largely centred on the use of wargaming, I employed to teach my soldiers. Those that came before me, and those that followed me, not doubt did things differently. That is, of course, their prerogative and the pleasure of one’s own command. I do not seek to compare methods, only to share what I consider to be an effective technique that others could replicate and improve upon. Walking into the lines after duty one evening I discovered several of my charges playing a commercial PC game ‘Wargame Red Dragon’ in some form of multiplayer engagement. There was an electric sense of competition and associated bragging rights for the winner. Some casual enquiries revealed who the ‘best’ players of this little clique were. After a short discussion I had their support for using the simulation to train them in the upcoming Defensive Doctrine module. I decided that the best way to incorporate the simulation was as a CPX timed to assess conceptual understanding of defensive doctrine taught by traditional methods…. You’ll find the rest of the article here. Are you a teacher who wants some ideas on how to set up and run a gaming club at your high school? Look no further than On Sean’s Table. His blog has featured several other posts on high school gaming, including how he set it up, and what the best games are to have available for student play. This is Not a Drill is an Australian Broadcasting Corporation television show that uses a seminar game/scenario discussion format to explore contemporary challenges, such as a crisis in the South China Sea or cybersecurity. Recent episodes can be found on YouTube. The article discusses more than the game, and also touches upon the current renaissance of board gaming. Reminder: Carleton University in Ottawa will be offering a two-day course on serious games on 22-23 November 2018. Section 1: The History of Matrix Games. The American History of Matrix Games by Chris Engle. The Rise of Professional Matrix Games by Tim Price. Using Matrix Games in the Classroom by Dorian Love. Building Boyd Snowmobiles: Matrix Games as a Creative Catalyst for Developing Innovative Technology by Paul Vebber. The Matrix Game handbook sells for £14.95, and is available from the History of Wargaming Project website.